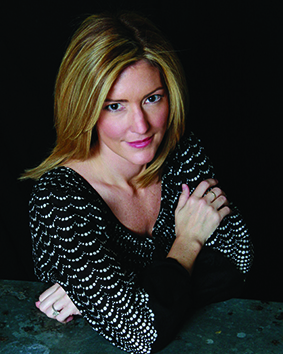 Kathryn Stockett, author of “The Help,” will speak at The University of Alabama on Friday, February 28, at 3 p.m. in the concert hall of Moody Music Building. Dr. Kari Frederickson, chair of the UA history department, took the lead in bringing Stockett back to UA for the talk. Stockett graduated from the University with a degree in English and creative writing. “The Help” has sold more than 10 million copies, and it spent more than 100 weeks on the New York Times Best Seller list. The talk is at 3 p.m. in the Moody Music Building Concert Hall and is free and open to the public. There will be a brief Q&A session following the lecture, and Stockett will sign copies of her book for a short time following the event. Stockett’s appearance is sponsored by College of Arts & Sciences, the Office of Academic Affairs, the Department of History, the Frances S. Summersell Center for the Study of the South, the Department of English, the John Oliver Support Fund in the Blount Undergraduate Initiative, the Department of Gender and Race studies, the Department of American Studies, and the College of Education.